Smart Pricer is to bring dynamic pricing to ski passes for the slopes at the famous St. Moritz ski resort in Switzerland. Under the agreement, the Upper Engadin ski resorts are introducing a dynamic pricing model for the upcoming 2018-19 winter season. It will work by varying the price for day and multi-day tickets according to demand on the respective validity date. In addition, the time of a booking affects the final price. Smart Pricer also notes that early bookers who purchase their tickets up to 15 days before payment will receive discounts of up to 30 per cent on their ski passes. “Given that Smart Pricer is Europe’s leading supplier of dynamic pricing software and consulting in the sports and entertainment sector, we have now found a trustworthy partner with extensive know-how for this ambitious project,” said Markus Meili, managing director of Engadin St Moritz Mountains AG and Markus Moser, chairman of the management board of Corvatsch AG. 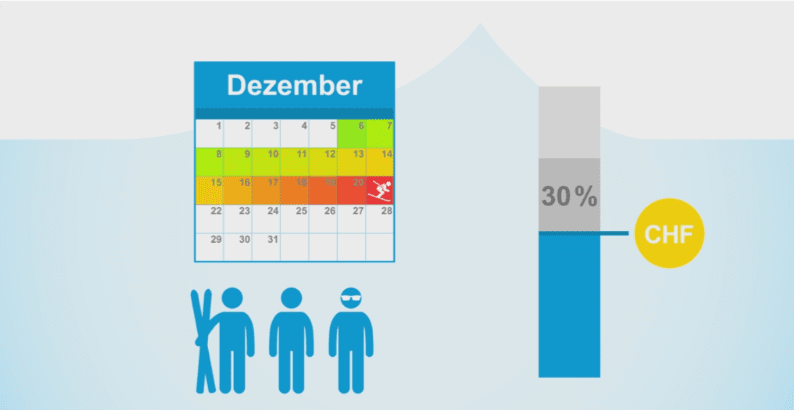 To enforce price optimisation and operational price control, Smart Pricer software is linked to the ski resort’s ticketing system. The firm said that optimisation takes place in two basic steps, with the first being a demand forecast for each day of the season is generated on the basis of historical booking data, season weeks and holiday calendars, determining the starting price for that day. Secondly, the price will increase more slowly or faster depending on the time of booking and advance bookings. Christian Kluge, managing director at Smart Pricer GmbH, said: “With the new pricing model we aim to create a real win-win situation for all skiers and snowboards as well as for ski resorts. Snow sports lovers will be rewarded for their early purchase with attractive prices.